John Milton's Areopagitica, first printed in 1644, in response to a Parliamentary ordinance of l643 for the licensing of all books, pamphlets, and other printed matter, is perhaps the most eloquent defense of freedom of speech and freedom of the press in the English language. Its ostensible purpose is to persuade members of the English Parliament to repeal the licensing order, and to that end Milton, if direct, is invariably deferential: "...That all sinister intention was far distant from your thoughts, when ye were importuned the passing it, all men who know the integrity of your actions, and how ye honor truth, will clear ye readily." One of the attendant ironies in Areopagitica, however, is its virtual lack of effect on its target audience, but its effect was not lost on later audiences. One of Milton's most profound disciples, William Wordsworth, the illustrious English Romantic poet, may have had Areopagitica in mind when he wrote in one of his sonnets ,known by the first line, "It is not to be thought of that the Flood, "We must be free or die, who speak the tongue / That Shakspeare spake; the faith and morals hold / Which Milton held..."
In our own troubled times, with individual liberties being threatened all over the globe, Areopagitica, still speaks to us, with its reasonable arguments, clever strategies, and lively idioms, metaphors, and analogies. The title of the essay is derived from an oration by the ancient orator Isocrates in honor of the Athenian Supreme Court, the Areopagus, so-called from its location in Athens on the hill of Ares (Mars), the god of war. In his indirect comparison of the English Parliament to the Athenian judges, lauded for their reputation for personal integrity, Milton flatters his audience. Areopagitica, like Isocrates' tribute, is cast in the form of a classical oration, with a careful structure not all that dissimilar from a well-organized composition as taught in freshman English classes in colleges and universities, with its introduction, body, and conclusion. In order to provide a contextual framework for the licensing of printed material, Milton gives a short history of censorship from ancient Greece to his own time. (Of all the great writers in English, there are very few whose erudition comes close to his.) He notes that in ancient Greece and republican Rome only two criteria were used to censor books: 1) blasphemy or atheism; and 2) libel. Freedom of speech, though, languished under the Roman emperors. From the mid-sixteenth century on, the Roman Catholic Church was an object of detestation in England. Catholic Mary Tudor ("Bloody Mary") sent nearly 300 of her subjects to die by fire for their dissenting religious views, and many English Protestants fled to the Continent for safe haven; and in Book One of The Faerie Queene (1590), the greatest nondramatic poem of the sixteenth century, Edmund Spenser, a major influence on Milton allies Roman Catholicism with the Infernal Regions and identifies the Pope with Antichrist. Consequently, Milton's strategy of emphasizing the origins of licensing in the Inquisition with a hope that Parliamentarians would be made uncomfortable by that reminder is quite shrewd. And with an equally shrewd personal aside, Milton records his meeting with Galileo at his home in Italy. (Part of Milton's education included a traditional Continental sojourn; he spent most of his time in Italy in 1638-1639.) The great astronomer had "grown old," was blind, under house arrest for twenty years, "a prisoner to the Inquisition for thinking in astronomy otherwise than the Franciscan and Dominican licensers thought." Implicitly Milton is asking his hoped-for Parliamentary readers, Do you wish to be associated with the narrow-minded institution responsible for the inhumane treatment of this learned man, widely known throughout Europe, as well as many others? As we might expect from someone of Milton's prodigious reading and capacious intellect, he interprets books as fundamental to human development. It is no surprise that some of the liveliest passages in Areopagitica deal with the importance of books, which Milton presents as living creatures--for they are "not absolutely dead things," as he says, but as full as life and ideas as "that soul whose progeny they are." The interwoven images of books as living things and as babies sired by their authors are used with special intensity for the particular kind of censorship imposed by the licensing order and under attack by Milton: prepublication censorship by which some books would never see the light of day. For Milton that equates to murder: "As good almost kill a man as kill a good book"; destroying a book is a "kind of homicide...sometimes a martyrdom; and if it extend to the whole impression, a kind of massacre... ." By the same token, thanks to the Inquisition, governmental censors now demand intellectual abortion, whereas previously "the issue of the brain was no more stifled than the issue of the womb." Milton insists that intelligent human beings need access to all kinds of books, both good and bad, and that books that lean toward false doctrine and immoral behavior "cannot defile...if the will and conscience be not defiled." In a typically vivid image, Milton distinguishes between spoiled foods that "scarce breed good nourishment" and "bad books, that ... to a discreet and judicious reader serve in many respects to discover, to confute, to forewarn, and to illustrate"--i.e., bad books are part of the learning process, a way of arriving at wisdom and understanding. In the matter of censored books, therefore, "what wisdom can there be to choose...without the knowledge of evil?" Virtue, in Milton's opinion, is an active, even aggressive condition, not a passive one: in this fallen world we must familiarize ourselves with evil as well as good in order to "see and know, and yet abstain." In what may be the most memorable--probably the best-known passage in Areopagitica Milton articulates this critical point brilliantly: "I cannot praise a fugitive and cloistered virtue [i.e., one that runs away and hides] unexercised and unbreathed, that never sallies out and sees her adversary, but slinks out of the race where that immortal garland is to be run for, not without dust and heat...That which purifies us is trial, and trial is by what is contrary. That virtue therefore which is but a youngling in the contemplation of evil, and knows not the utmost that vice promises to her followers, and rejects it is but a blank virtue, not a pure; her whiteness is but an excremental [i.e., superficial] whiteness..."
Furthermore, Milton notes that the best and least dangerous way to "scout into the regions of sin and falsity" is to read "all manner of tractates and hearing all manner of reason[.] And this is the benefit," Milton asserts, "which may be had of books promiscuously read." In short, he seems to say, know your enemy! Another negative factor in the licensing of books, in his opinion, is the problem of its not being able to do what it's supposed to do. He makes two points here. For one thing, where does society find effective, competent licensers? What guarantee is there that they are and will remain infallible and incorruptible? Good men will not want the job: it's "tedious and unpleasing journeywork," so the kinds of men who will take the position are likely to be "ignorant, imperious, and remiss, or basely pecuniary." Secondly, there are "a thousand other ways" besides books to learn "evil manners" and so Milton doesn't see how "licensing can be exempted from the number of vain and impossible attempts." In a comic analogy he compares the attempt to reform manners by licensing books to "that gallant man who thought to pound up [i.e, impound] the crows by shutting his park gate." In order to supervise manners, Milton suggests in a bit of irony, it is necessary to "regulate all recreations and pastimes, all that is delightful to man"--and he then proceeds in this reductio ad absurdum to enumerate some of the many "recreations and pastimes" that would require censoring: dancing; music and the "playing of musical instruments" (lutes, violins, and guitars, for example, "must not be suffered to prattle as they do, but must be licensed what they may say"); eating and drinking require supervision to prevent "household gluttony" and "daily rioting"; materials for clothing would have to be licensed "to see them cut into a less wanton garb"; and someone would have to "regulate all the mixed conversation of our youth, male and female together, as is the fashion of this country[.]" Milton was surely aware that this list of absurdities, if taken too literally by some of his contemporaries, especially extremist Puritans, could readily be transformed into what we of the twenty-first century would consider an Orwellian nightmare. But his position here is that what is needed to maintain social order is not compulsion, restraint, or censorship, but "those unwritten or at least unconstraining, laws of virtuous education, religious and civil nurture" that motivate more by persuasion than by repression. Milton's final argument against the licensing of books is its adverse effect on learning, scholarship, and the acquisition of truth. As a recipient of a "virtuous education" and the "religious and civil nurture" cited above, as well as being a scholar-writer himself, Milton felt deeply and personally the stigma of book-licensing. He had come under fire for the anonymous, unlicensed publication of his essay The Doctrine and Discipline of Divorce (published in 1643, not long after the licensing order went into effect), in which his advocacy of enlarged parameters for divorce shocked and outraged the authorities; the second, greatly expanded, edition of 1644, in which he allowed his initials (J.M. ), but not his whole name, to be published, was deemed a "wicked book...deserving to be burnt." Even more to the point Areopagitica, which followed shortly thereafter, was an unlicensed work whose publisher was not identified, though Milton was sufficiently courageous (or foolhardy) to publish it under his own name, thereby incurring the risk of serious punishment. Milton claims that to force someone with a reputation for learning to undergo licensing is to treat him like a "boy at school," a "fool" or a "foreigner." Aristotle whose work was well known to Milton, differentiates between adults and children through the ability of the former but not of the latter to exercise rational judgment; Aristotle cites children, animals, and the mentally incompetent as creatures defective in reason and judgment. In a similar vein, Milton is suggesting that intelligent, learned adults who are being told their judgment cannot be trusted are being given orders as if they were children. A particularly sore point for Milton is that the licensing official making demands on a writer is "perhaps much his younger, perhaps far his inferior in judgment, perhaps one who never knew the labor of book-writing." And not merely living writers, but deceased writers also, "though never so famous" while alive "even to this day" come under the mutilating hand of a censor. The licensing order calls into question as well the powers of the clergy to enlighten, so "that all the sermons, all the lectures preached, printed, vended in such numbers..." are considered ineffective "without...an imprimatur." Public discussion, as Milton sees it, is an important vehicle for the dissemination of ideas and the quest for knowledge. Learning is always accompanied by disagreement and diversity of viewpoints--"much arguing, much writing, many opinions; for opinion in good men is but knowledge in the making." Christ himself preached in public "wherewith to justify himself," Milton would have us recall, "yet writing is more public than preaching; and more easy to refutation, if need be, there being so many whose business and profession merely it is, to be the champions of truth..."
Truth for Milton is primarily religious Truth, and her battle with Falsehood [i.e., false doctrine] is presented in an elaborate military allegory: "Let her [Truth] and Falsehood grapple; who ever knew Truth put to the worse, in a free and open encounter?" --i.e., a public forum where honest discussion and debate occur. Whereas Truth is strong and direct and offers every advantage to her opponent, Falsehood uses more devious tactics: "policies," "stratagems," "licensings"--"those are the shifts and the defenses that error uses against her [Truth's] power." The military imagery is so vivid that Milton needs to remind us that the wars he is describing are metaphorical ones in which censorship plays a major adversarial role: "...To skulk, to lay ambushments, to keep a narrow bridge of licensing where the challenger should pass, though it be valor enough in soldiership, is but weakness and cowardice in the war of Truth." Given the historical circumstances, the author of Areopagitica is relatively tolerant; he accepts differences of opinion: it is, he affirms, "more wholesome, more prudent, and more Christian, that many be tolerated, rather than all compelled." 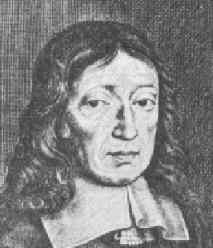 But even Milton's tolerance has its limits; some groups need to be supervised more closely than others: "I mean not tolerated popery and open superstition, which, as it extirpates all religious and civil supremacies, so itself should be extirpate,...; that also which is impious or evil absolutely, either against faith or manners, no law can possibly permit, that intends not to unlaw itself." Milton provides us with irony, if not a major paradox: in an essay on freedom of speech he seems to deny it to Catholics especially and others who he believes jeopardize moral and social order, and he turns the institution of licensing, which he has spent most of the essay attacking against the very group whose hated Inquisition is responsible for its creation. He does, however, qualify the severity of his injunction: he issues a proviso "that all charitable and compassionate means be used to win and regain the weak and the misled," and the tactics he recommends with dealing with all "schismatics" whose opinions are "erroneous" appear to the modern reader to be just and reasonable: "...Give them gentle meetings and gentle dismissions,...debate...and examine the matter thoroughly with liberal and frequent audience." Milton's concern for searching out Truth is related to what he believes is part of his divine mission as a writer: namely, the continuation of the English Reformation, which he considers unfinished, an ongoing process that the licensing order will interrupt or hinder. As he puts it, "In the meanwhile, if any one would write and bring his helpful hand to the slow-moving reformation which we labor under, if truth have spoken to him before others, or but seemed at least to speak, who hath so bejesuited us that we should trouble that man with asking license to do so worthy a deed?" Scholars have pointed out that in 1651, two years after the trial and execution of King Charles I, which Milton justified in his writings, as fit end to tyranny, Milton---seven years after the printing of Areopagitica--had become a licenser of new books for the Puritan administration. The consummate irony need not be belabored here, though his desire to censor Catholics and others whom he considered impious might been an adumbration of this otherwise surprising administrative position. Or is this apparent disparity simply a prominent example of the age-old conflict between the idealistic vision of the writer in his text and harsh realities of practical politics in which Milton had become inextricably involved? At the very beginning of the English Renaissance of which Milton is categorized as one of the last great figures, Sir Thomas More in his Utopia (1516) paints a picture of an ideal society in which religious is mandated and extremist views such as atheism are handled by gentle persuasion and discussion--not unlike the recommendations in Areopagitica. Per contra, when More later became Lord Chancellor of England, he was said to be quite ferocious in dealing with religious heretics. However we explain the seeming contradiction between Milton's views in Areopagitica and his practice as a state licenser--as a little bit of hypocrisy, a momentary aberration, or the exigencies of Realpolitik--throughout his life he was generally viewed by many of his contemporaries and by devoted followers of later periods as a man of high moral principle and unquestionable integrity. Certainly Wordsworth, who valued freedom as much as Milton did, never doubted the character of his great predecessor. In another of his sonnets, "London 1802," he declares: "MILTON! thou should'st be living at this hour: /... Oh! raise us up, return to us again; / And give us manners, virtue, freedom, power. / Thy soul was like a Star, and dwelt apart:..."
But perhaps it is only fair that Milton should have the final word. An incisive and independent thinker throughout his life, he loathed what he calls in Areopagitica "this irony yoke of outward conformity." He fears that under the new licensing act, "we may as soon fall again into a gross conforming stupidity." And in one sentence, he summarizes the essence of his oration on censorship: "Give me the liberty to know, to utter, and to argue freely according to conscience, above all liberties." For 21st century readers, as for previous generations, there is no more articulate and impassioned writer on freedom of speech than than this 17th century defender of the Wars of Truth. Note: Modernized American orthography in this essay follows the edition of Merritt Y. Hughes John Milton: Complete Poems and Major Prose, Odyssey Press, l957. Readers who prefer a spelling closer to Milton's own may consult The Riverside Milton edited by Roy Flannagan, Houghton Mifflin Company, l998. The modernized orthography is used here for ease of reading.